Privacy of personal information is an important principle to my Speech-Language Pathology practice. My associates and I are committed to collecting, using and disclosing personal information responsibly and only to the extent necessary for the services we provide. We also try to be open and transparent as to how we handle personal information. 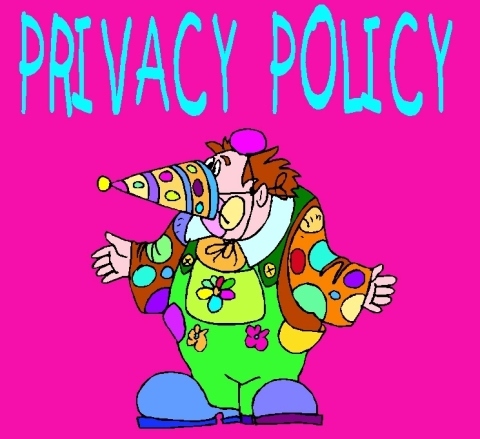 This document describes privacy policies. Personal information is information about an identifiable individual. Personal information includes information that relates to their personal characteristics (e.g., date of birth, home address or phone number, family members etc), their health (e.g., health history, speech and language disorders, speech and language services received by them) or their activities and views (e.g., religion, politics, opinions expressed by an individual, an opinion or evaluation of an individual). Personal information is to be contrasted with business information (e.g., an individual's business address and telephone number), which is not protected by privacy legislation. Fun To Talk consists of myself, Rozanne Israel, Speech-Language Pathologist as well as 3 independent contractors: Nicky Belitzky, SLP, Tzirel Irons, SLP and Janice Abramowitz, SLP. I use the services of registered Chartered Accountants who may, in the course of their duties have very limited access to personal I Hold. This would include client names, as listed on my invoices but not to any clinical files. I restrict their access to any personal information O hod as much as possible. I also have their assurance that they follow appropriate privacy principles. PRIMARY PURPOSES: Like all Speech-Language pathologists in private practice, we collect, use and disclose personal information in order to serve our clients. In this practice, the primary purpose for collecting personal information is to provide assessment and treatment to our clients. The personal information is used to contact parents/legal guardians, to schedule or cancel appointments, to prepare developmentally appropriate, motivating activities which address the parents’ concerns and to co-ordinate services with any others being provided. Examples of the type of personal information collected for these purposes include: Child’s name and phone number, parent’s names, a description of parents’ concerns, child’s date of birth etc. Billing: Outstanding invoices are mailed or e-mailed. Examples of information collected for this purpose are: parents’ names, mailing address, e-mail address. Reports: Reports are mailed to parents or to other organizations (e.g. schools) as requested by the parents/legal guardians. Examples of information collected for this purpose include: Names and addresses of other services or educational placements involved in the client’s care. Reports are only e-mailed with identifying information (such as the child's name and date of birth) removed or with password protection and encryption. Regulatory Accountability: As regulated health professionals, we are accountable to the College of Audiologists and Speech- Language Pathologists of Ontario (CASLPO). At the College’s discretion, we could be audited, investigated or asked to undergo a peer review. Personal information is not transmitted electronically. As the owner of this practice, I need to retain personal information for some time to ensure that I can answer any questions you or your grown child might have about services provided and for my own accountability to external regulatory bodies. I keep my client files for 10 years after the year my clients turn 18. I destroy paper files containing personal information by shredding. My staff and I destroy electronic information by deleting it and, when hardware is discarded, we ensure that the hard drive is physically destroyed or that the memory is completely erased. With only a few exceptions, you have the right to see what personal information we hold about you/your child. Often all you have to do is ask. We can help you identify what records we have about you/your child. We will also try to help you understand any information you do not understand (E.g. short forms, technical language, etc.) We will need to confirm your identity, if I do not know you, before providing you with this access. If you believe there is a mistake in the information, you have the right to ask for it to be corrected. This applies to factual information and not to any professional opinions we may have formed. We may ask you to provide documentation that my files are wrong. Where we agree that me or one of my staff made a mistake, we will make the correction and notify anyone to whom this information was sent. If we do not agree that a mistake was made, we will agree to include in the file a brief statement from you on the point and we will forward that statement to anyone else who received the earlier information. As the Information Officer of this practice, I can be reached at (905) 763-9965 to address any questions or concerns you might have. If you wish to make a formal complaint about my privacy practices, you may make it in writing to me. I will acknowledge receipt of your complaint, ensure that it is investigated promptly and that you are provided with a formal decision and reasons in writing.